In the ever-growing restaurant industry, you’ve got to do something that will keep you a step ahead of your competitors, and your customers hitched to your restaurant for a long time. Having innovative menu items and engaging in comprehensive marketing would, of course, help you, but if you can deliver the right restaurant guest experience, then half your work is done. 47 percent of customers would take their business to a competitor within a day of experiencing poor customer service. Thus it is critical that you focus on the service that you deliver to your customers. For an impeccable restaurant service, one should not only focus on the food and its taste, but it should also encompass how a customer is welcomed and served, the time taken to serve the food, and the ambiance that you are providing to your customers. Unless a restaurant can wow guests in a restaurant through ravishing customer experience, retention of customers becomes extremely difficult. People come out of their houses and visit your restaurant not only to enjoy your tasty food but to have an overall stellar experience. Want to know what makes a great experience in a restaurant? Read below to identify the major areas where you must work on if you want your customers to have a great restaurant experience. 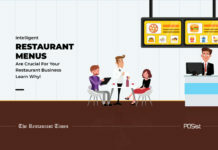 With the help of technology, almost all customers undergo comprehensive research, where they try and know more about the restaurant, read the online reviews and then finally make their mind on the visiting your restaurant. Hosts and hostesses should greet guests when they walk through the front door with a smile and a good eye contact, making an effort to be polite and efficient. Servers should be friendly and attentive. They should never congregate around the front desk or the POS terminal and instead should anticipate guests’ needs. Managers should personally touch each table and ask the customers about their experience. In the case of repeat customers, it always helps if the waiters are familiar with the guests. How can you tempt them to return? A free appetizer or a small discount on their next meal can be enough to get them back, again. What else can you do? You can personalize the offers depending on your customers ordering history. Your customers visit you to satiate their taste buds with finger licking food within the price expected. Since most customers visit the website of the restaurant before visiting one, they do check the menu and the pricing. 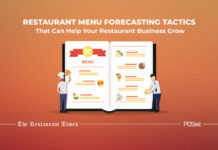 Hence, if they happen to visit your restaurant only to find that your menu has changed, and so has the pricing, it will not leave a very positive impression on your customers. Just like the price and the taste, quality and quantity of the dishes also play a very vital role in delivering a stellar restaurant guest experience. Hence make sure that you update your restaurant website wherever, you being in some changes in the menu so that your customers are aware of what to expect when they visit your restaurant. It is also important to price your menu accordingly. An overpriced dish or too small a portion can turn out to be a turnoff for your customers. Thus, if you are serving items at a premium price, ensure that your service justifies it. Imagine yourself visiting a restaurant, and you are first asked to wait in the queue since all the tables are booked. Once you get the table, the servers take long enough to come and take the order, and the food comes out of the kitchen to the table even late. Will such an experience delight you? Of course not! Hence, you should try and make sure that your customers never have to face the same misery, which will, in turn, help you deliver an outstanding restaurant guest experience. Try and reduce your table turnover time. You can do so by accelerating the processes in the kitchen, which will eventually reduce the long queue that used to be present previously. The servers should also be readily available to take the orders as soon as the customers are settled and have made up their mind on what to order. Here are seven practical ways to improve your restaurant service that would help you enhance your guest experience. Also, in case your restaurant is house-full, or a particular item would take a more extended amount of time to be prepared, and you have no choice but to make your customers wait, do remember to convey this clearly to your guests. Customers usually visit a restaurant with a preconceived notion, thought and mood, with regards to your cuisine, the ambiance, and the music. Hence, you must always try and live up to the expectation, which in turn will help you deliver a great restaurant guest experience. The theme of your restaurant must always be in tune with the ambiance and the music of your restaurant. For example, if you are hosting a Bollywood night, and your customers come to you hoping to see and enjoy some Bollywood buzz and nostalgia, it will be a complete disappointment if your DJ starts playing high-end English Pop. In the same way, if your restaurant concept glorifies the Bollywood times, then your interiors, your menu items, and your music, everything must convey the theme that your restaurant tries to showcase. For instance, the ambiance and the interiors of the restaurant like Garam Dharam and Molecule Air Bar are right on point. They have succeeded in depicting their restaurant concept through their interiors pretty well. While the former has crafted an ambiance portraying the Bollywood legend Dharmendra’s hits, the latter has tried to do its interiors as per the abandoned building where the American army used to take refuge during the World War II. While upselling is one of the primary ways by which restaurants can garner those extra bucks, most servers fail to master the art. Upselling is more than sales; it requires perception, knowledge about the menu, and discretion. At its best, upselling can look less like sales and more like customer service. Upselling should be subtle enough to avoid annoying the customer or making them feel pestered. Imagine, an annoying server continually pestering the customer to order a high-profit margin item, in spite of the customers’ constant denial. While the customer will get stubborn and will not order what you recommend, he will also get irritated and would try not revisiting your restaurant. It will not be a positive sign if you are aiming at delivering a stunning restaurant guest experience. Hence, upselling is only useful when pursued subtly. How you interact with your customers is an essential aspect of the entire guest experience. 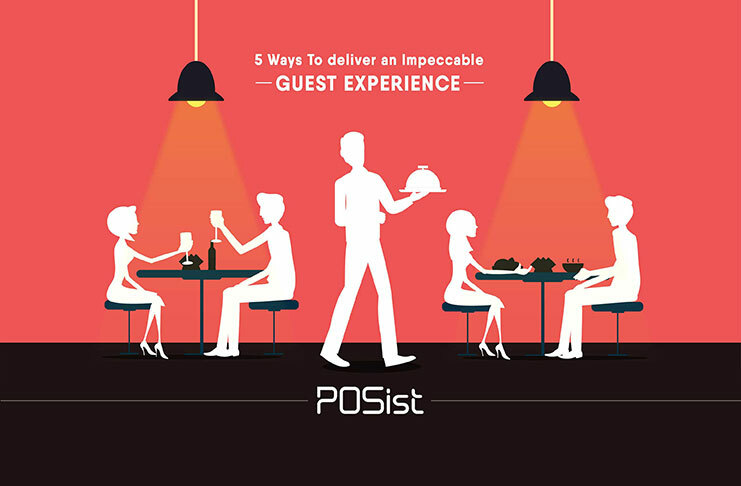 Delivering a pristine restaurant guest experience should be one of your pivotal interests as it is the only way you can make your customers come back again and again. Implement the tips mentioned above to improve your restaurant guest experience and see how quickly you can make your customers happy!